Over the years, uPVC bifold doors have become a popular alternative to traditional patio doors or French doors. Compared to the latter, uPVC bifold doors offer a fully retractable door system that allows homeowners to maximise levels of natural light into the home's interiors. For the highest quality and function of uPVC bifold doors, look no further than Wilkins Windows! 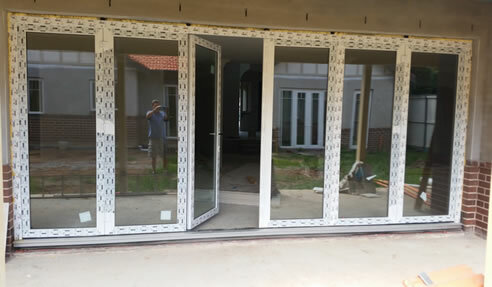 The NSW-based, family-operated company is equipped with almost two decades of expertise, knowledge and proven building techniques to deliver high-quality window and door assemblies to the Australian market. Using no less than premium materials, Wilkins Windows design, manufacture and distribute a wide range of timber, bushfire-rated, acoustic and uPVC bifold doors. What are the Benefits of uPVC Bifold Doors? uPVC bifold doors have slimmer profiles than conventional patio doors or French doors. It also offers a seamless modern appeal that provides maximum visibility and structural support. In general, uPVC is a versatile, durable and low-maintenance material. Taking care of uPVC bifold doors only involves the working parts, which are the locking system, hinges and handles. The hinges, handles and locking systems need to be sprayed on with some oil on the friction hinges, door key and locking strip to keep them smoothly running. While the bifold door glasses needs occasional cleaning with warm soapy water and a clean cloth. uPVC bifold doors are highly recommended for areas with wide, open outdoor spaces as bifold doors can span the length of the side of a home. This makes it easier to convert outdoor spaces into another usable room like an outdoor living or entertainment area. uPVC bifold doors have a low threshold and can be neatly tucked away on the side, allowing more access for people, especially for the elderly who are in wheelchair or mobility devices who need wider access and minimal step. Wilkins Windows uses double glazing techniques for their window and door glass options. Double glazing involves the use of two insulated glass panels with an optimal 20mm airspace that creates a thermal barrier. Double glazed glasses are tightly sealed, making it difficult to break in. Wilkins Windows also offer Low-E glass with insulating argon gas that further improves the thermal efficiency of double glazed doors and windows. Wilkins Windows teams up with Rehau, a German-based company specialising in polymer solutions, in bringing cost-effective and superior insulation uPVC assemblies in the Australian building and construction industry. Book an appointment with the experts at Wilkins Windows for more details on uPVC bifold doors. Call 02 9833 2993 or visit www.wilkinswindows.com.au. I would like to enquire about Wilkins Windows.